From the moment you call in all the way until you check out, our dental team will be there to make sure you have everything you need. Each member has been hand selected because of their experience, personality, and dedication to service. Whenever you come to see us, they’ll greet you with a smile, and their only goal is to make sure you have the best dental experience imaginable. We want you to feel that it is a Truly Different Dental Experience! Below, you can get to know some of the friendly faces you’ll meet at Silver Creek Dentistry. As our administrative team leader, Alyssa is a vital part of our staff. Besides being Dr. Johnson's right hand, she keeps the office running smoothly. What's more, she truly cares about helping others—that's why our patients love her. 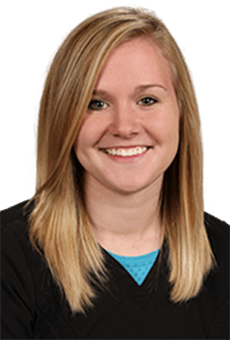 Prior to joining our team, she studied at Fox Valley Technical College. When she's not helping patients and making people laugh, she loves spending time with her husband and her children. She enjoys cooking, spending time outdoors, and going four-wheeling and dirt biking. She also loves music—you might even catch her lip syncing around the office. As one of our dental hygienists, Erica helps us create beautiful, healthy smiles using some of today's best tools. 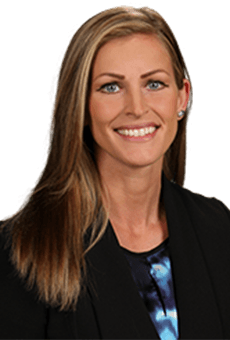 She also has experience with local anesthesia and laser therapy for gum disease. 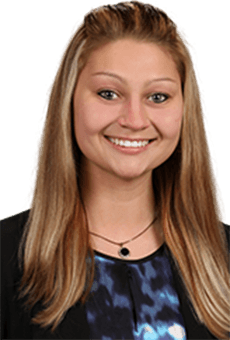 Before joining our team, Erica completed her studies at the University of Wisconsin-Oshkosh and Fox Valley Technical College. She's married and has a dog. Erica is also a Badgers fan and loves traveling as well as camping. 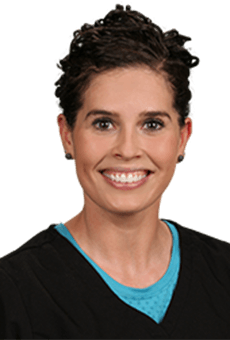 As a dental hygienist, Rachel loves to educate her patients about their oral health. She attended Northeast Wisconsin Technical College for her dental hygiene degree and Lakeshore Technical College for her degree as a dental assistant. She is also certified in CPR, local anesthesia, and the 920 nm laser. Rachel and her husband have two dogs, and in her spare time, she enjoys road biking, cooking, running, crafting, and reading. Someday, she would like to go halibut fishing off the shores of Alaska. Megan is a local girl who grew up and attended school here in Ripon. She received her education for hygiene at Fox Valley Technical College. During the warmer months, Megan likes to plant flowers, herbs, and vegetables in her garden. She also enjoys spending time with her family and friends. 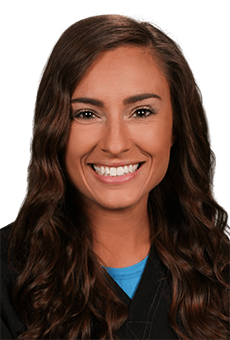 Morgan, originally born and raised in Fond du Lac, attended Fox Valley Technical College for her dental education. 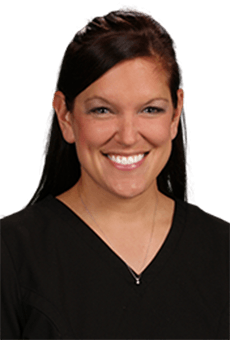 As one of the registered dental hygienists on our team, she makes it her objective to educate patients on the importance of their overall dental health in a comforting and friendly atmosphere. Morgan is quite crafty and likes to refinish furniture during her free time. She loves taking vacations, and her dream vacation is to eventually travel around Europe. 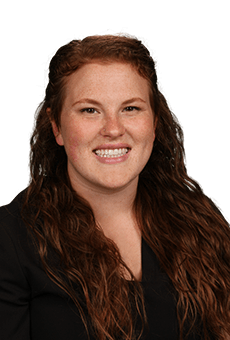 Alissabeth is a graduate of Fox Valley Technical College and joined our practice in 2017. Every day, her main goal is simple: to give everyone a smile they absolutely love. She helps our patients accomplish this by providing thorough cleanings as well as plenty of patient education so they can effectively take care of their teeth at home. Outside of work, you’ll mostly find Alissabeth spending time with her fiancé, Joe, and their dog, Pepper, an adorable blue heeler/lab mix. Originally from the Van Dyne area, Carissa is one of the newest members of our team, and she’s already starting to form great relationships with our patients! For her, the best part about her job is getting to educate patients so they’re able to take care of their oral health and enjoy a healthy smile for a lifetime. She also likes that she gets to work with some of the latest technology in our office! She is happily married to Cody, and they like to spend much of their free time doting over their precious daughter, Esme. Goldie joined the front desk team in July of 2016. 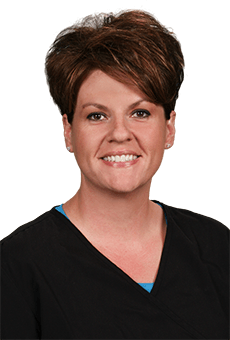 She has been a dental assistant for more than 11 years and loves working with our fantastic patients to give them a great experience. 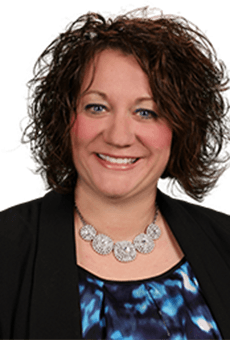 She previously studied dental assisting at Fox Valley Technical College and has been married to her husband for over 10 years. Together they have three children. After hours, she loves being outdoors and spending time with her loved ones. She also enjoys walks, fishing, and bike riding. 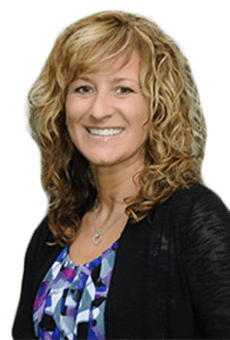 Trista has more than 25 years of experience in dentistry. As a dental assistant, she works side-by-side with our dentists every day as they help patients achieve better oral health and well-being. Before joining our team, she studied at Gateway Technical College. Trista is married and has two dogs. Her interests include kayaking, gardening, and grilling out. She also took piano lessons for 13 years. Miranda loves helping people, which is something she gets to do every day as a dental assistant. Prior to joining our dedicated team, she studied at Fox Valley Technical College. Away from the office, she enjoys basketball, fishing, hunting, and spending time with her husband and two daughters. Jessie grew up here in Ripon and attended Fox Valley Technical College after high school. She loves getting to know our patients and helping them become confident with their smile. Outside of the office, Jessie enjoys doing anything artsy, fishing and being outdoors, watching Netflix on rainy days and spending time with friends and family. Fun fact about Jessie, she’s a complete foodie and loves trying new things! As a dental assistant, Rachel looks forward to taking care of and truly getting to know our patients every single day. She feels extremely privileged to be working in what she calls “a great dental office.” At home, you’ll find Rachel and her fiancé Nick planning their upcoming wedding, playing with their newborn baby Wesson, and hanging out with their dogs, Bella and Fiona. 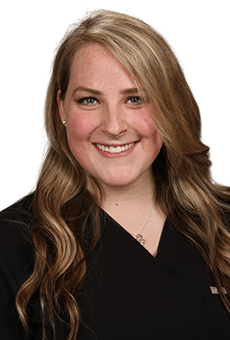 Amanda is one of the newest additions to our practice as of 2018, and she says she already loves working at Silver Creek Dentistry because it is “a fun, patient-oriented office that feels like home.” Her goals every day are to help our patients feel as comfortable as possible and ensure they are pleased with their results. To her, the most rewarding part of her job is giving patients confidence again. 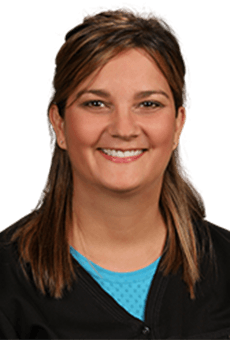 Originally from Wisconsin Dells, Amanda mostly likes to spend her free time with her husband Jonathan and their two cats and dog. When she can, she also likes to go to the races, work in the garage, and cruise in her beloved Mustang. 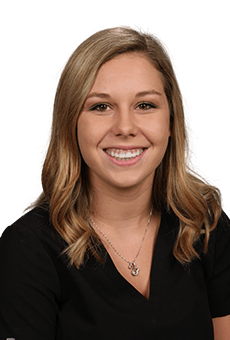 Karlee is a new addition to our practice, and she loves how her job allows her to meet new people every day and help them with their oral health. She grew up in Omro and eventually graduated from Fox Valley Technical College. She truly enjoys working at Silver Creek Dentistry and collaborating with our wonderful team. 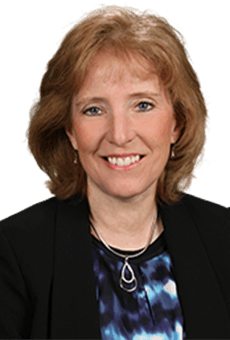 Outside of dentistry, she likes to spend her time outdoors hunting, fishing, snowmobiling, and boating. 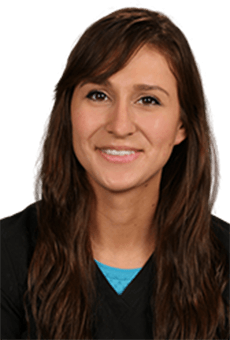 Cassie is a recent addition to our practice as of 2018. A graduate of Wisconsin Dental Assistant School, her specialty is easing the fears of nervous patients, and she looks forward to helping many more people realize that dental care is nothing to worry about. 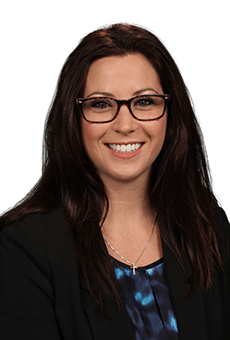 She truly enjoys being a member of the Silver Creek Dentistry team because she feels valued and has plenty of room to grow. Cassie is a very busy person, as she has a full-time career as well as a husband, 2 daughters, 2 sons and 2 dogs at home! Gina has fond memories of growing up on a dairy farm in Boyd, WI, but these days, instead of raising her beloved cows, she helps our hygienists give our patients pristinely clean and healthy smiles. She joined our practice in 2018 after graduating from Weekend Dental Assistant School, and her #1 goal is to make sure that our patients have a positive experience every time they come to see us. When not at work, you’ll find Gina visiting family or going hiking or camping with her boyfriend. She’s a true nature lover and hopes to visit all of the National Parks some day! Bio & Picture Coming Soon. Charissa joined the Silver Creek Dentistry front desk team with over 11 years of experience in customer service and an additional 5+ years caring for the elderly. Charissa grew up in the Wautoma area but now lives in Berlin where she bought a home. After graduating high school, Charissa attended Fox Valley Technical College where she received her CNA degree. She has a lovely daughter who keeps her on her toes. Charissa enjoys spending time with family and friends as well as going shopping, traveling and watching movies. Jenny has been with our practice for more than 17 years. As the Call Center Manager and Hygiene Coordinator, she loves working with patients and making them feel welcome. Silver Creek Dentistry is her “home away from home.” She feels truly blessed to consider so many team members as well as patients as extended family and friends. She previously studied at Fox Valley Technical College and is CPR certified. When she’s not helping patients, Jenny enjoys watching her two sons play football and basketball. She is their #1 fan! Her other interests include home renovations, cooking, family, traveling, and anything Disney. 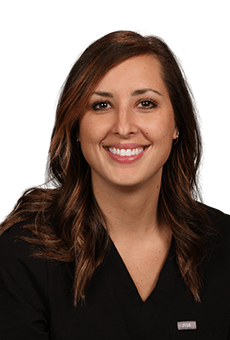 Working in our front office as well as in our insurance department, Emily knows that our practice is all about patient care. She enjoys being able to take care of our patients by answering questions and making a difference every day. She believes in providing great customer service with her team members and wants patients to feel valued and important in our office. 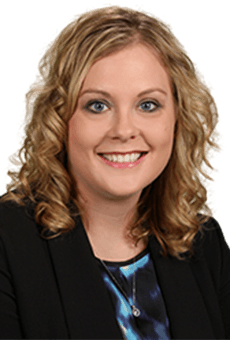 Emily grew up in Ripon, where she attended Ripon High School and then furthered her education at Madison Area Technical College. She has an associate degree in Medical Administration and is CPR certified. Outside of work, she enjoys cooking, outdoor activities, watching movies, and spending time with friends and family. Amanda joined Silver Creek Dentistry as one of our dental assistants and is now part of the front desk team. Other than providing comfort to our patients, she strives to make each visit as pleasant and beneficial as possible. Outside of the office, she enjoys landscaping, home remodeling and trips with her husband and two children. Amanda and her husband love to watch their children's events including sports and showing dog and horse. Besides being a valued member of our front office team, Chelsey is a graduate of Ripon High School and is both CPR and AED certified. She loves assisting patients and making them welcome. Away from the office, Chelsey enjoys spending time with son and enjoying the outdoors. 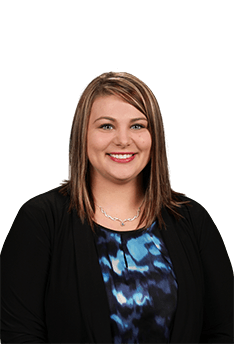 Courtney recently joined our practice in January 2018, and her job is to help our patients figure out the easiest way to pay for their treatments, so she’s always ready to answer any insurance/financing questions you might have. She is originally from Borth, and she actually started her career as a dental assistant. Away from the office, she enjoys spending time with her husband Matt, son Bryler, and their yellow lab, Rifle. She hopes to one day travel the world and see all of its wonders. 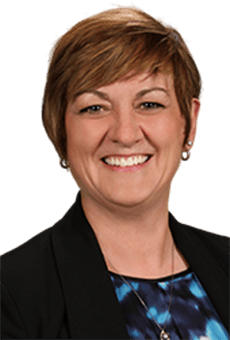 Wendy grew up in Green Lake enjoying swimming and boating and after high school, she attended Moraine Park Technical College. Her career with Dr. Johnson started as being his dental assistant and after ten years she moved to a front office position. For many years Wendy handled the patient’s dental insurance. Although she still helps with dental insurance, she keeps busy with managing the building, maintaining the computers and medical claims among other duties. 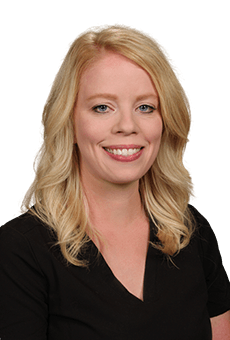 Wendy is proud to be a part of an office focused on our patient’s care and overall wellness, and who is involved in Ripon events and the surrounding communities. She loves being in nature, animals, walking and riding horses. Tanya has more than 25 years of experience in the dental field. 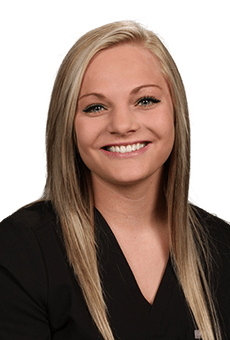 After completing her Dental Assistant degree at Fox Valley Technical College, she joined our team as one of Dr. Johnson's dental assistants. 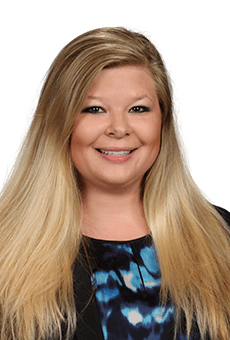 Tanya then transitioned into the front office and is now working remotely as part of our insurance team. When she is in the office she likes nothing better than making the patients and her coworkers smile. She enjoys spending time with her husband, their two adult children and their Golden Doodle Ireland. Tanya also LOVES shopping and cheering on the Badgers, Brewers and Packers. Nancy has been a part of the Silver Creek Dentistry team for over 22 years. She loves interacting with our patients and team members alike. 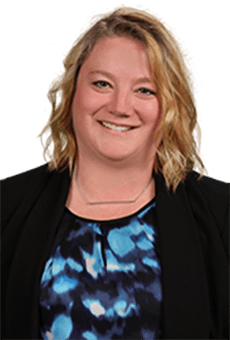 She previously earned a Bachelor of Science in psychology from the University of Wisconsin-River Falls, and she has a PHR certification in human resources. Nancy and her husband have been married for almost 30 years. She considers herself very blessed by her family of two sons and her daughter-in-law. She loves traveling with her family and friends, and she also enjoys four-wheeling and boating.